By any standards the Rio 2016 Olympic performance by Team GB has been outstanding. In a wide variety of sports, and not just the sitting down ones, our athletes have excelled. Almost without exception these results come down to years of hard work, dedication and a relentless focus on marginal gains. Back in 1990 Dan Jones and James Womack introduced the Western World to Lean Manufacturing in their seminal work “The Machine that Changed the World”. This study of the evolution of car manufacture from craft shops via Ford mass production (the Model T) to Toyota’s legendary production system (TPS) showed how through constraint and necessity, Toyota developed a manufacturing system that produced cars of higher quality (in terms of reported defects per vehicle), requiring few workers and lower supply chain inventories than Western OEMs. In every event Japan based OEMs took golds for manufacturing quality, productivity and on time delivery! I was fortunate to be working in a European component group at this time and was part of a management team that introduced “lean” to a very entrenched French company. We ran kaizen events in factories, re-arranged assembly lines, undertook 5S initiatives with a zeal that Napoleon would have admired! Some 10 years later as Managing Director of a fluid power company I led a management team and plant through an 18 month lean conversion of a traditional batch and queue business (order to delivery cycle time minimum 6 weeks) to 20% of the product lines representing 80% sales available in 1 week. Quality ppm improved 80% and working capital was halved. The core philosophy of lean is continuous improvement. At its heart it is about training and investment in people to enable them to do extraordinary things. When teams are taught the tools, learn to “see” the 7 wastes (muda) and how to eliminate them; nearly everyone in my experience becomes a disciple and applies the techniques to improve every aspect of their performance. It is now normal for self-directed teams in assembly or component plants to set themselves goals to improve key metric attributes of performance month on month, year on year. Everything they do will be based on a rigorous review of actual current and trend performance data. Their driving goal will be to improve; not in leaps and bounds, but inch by inch, yard by hard yard to achieve a quantifiable improvement in a number of key metrics (eg. productivity, space utilisation, quality, process OEE). In cycling it took a visionary Performance Director, Sir David Brailsford, to bring fresh thinking and change the team’s performance. 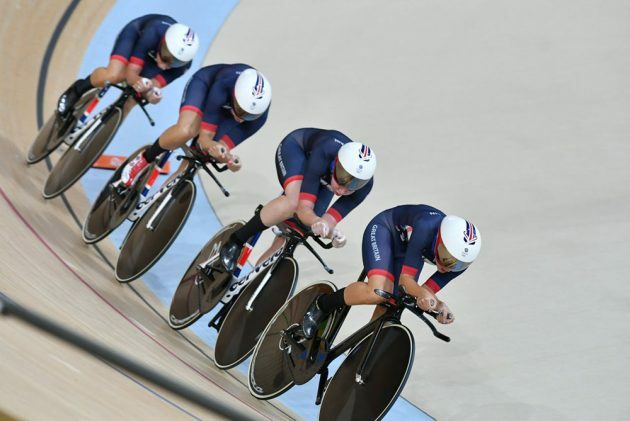 Since 2010 British cycling has come from being way off the back of the peloton, to being the dominant medal winning machine of the last two Olympic games. His approach was the “aggregation of marginal gains”. Copyright 2019 Verve4growth / All rights reserved.